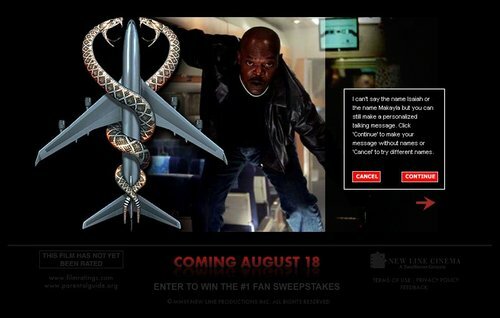 I came across an interesting viral campaign for the upcoming movie "Snakes on a Plane" where users can go online and enter names to have a personalized viral message sent to someone spoken by Samuel L. Jackson. 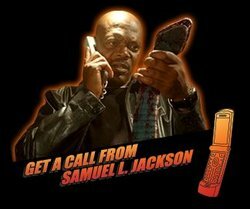 I have seen this viral talking idea before, such as with the "7 days left" campaign for The Ring 2 … but in that case the promotion was not personalized. So visiting the site, I was expecting another smart piece of a marketing strategy from a film that has done well to foster a fan frenzy by reshooting scenes based on fan input, encouraging discussion through fan blogs like Snakes on a Blog and even a fan wiki. Sadly, this viral campaign is a disappointing example of what happens when movie marketers forget about multicultural audiences. The first step in sending a viral talking message is to enter your name and your recipient’s name. I first tried it by entering my name and my wife’s name and came up with the error message "I can’t say the name Rohit or Chhavi and still make a personalized talking message." Bummer, but maybe we just have tough names. So I went to the Social Security Administration’s website where they list the 50 most popular baby names from any year (as registered by their office). I then tried two "ethnic sounding" names from 2004: Isaiah and Ava … and got the same error message. This is like an online version of the experience every kid from another culture has when going into the tourist store to see all the personalized keychains and license plates with only names like James or Emily. Of course, those stores can’t be expected to carry every name … but in a viral campaign like this where technology serves the personalization, this should not be a barrier. Unfortunately a concept that could have worked well as yet another buzz builder for highly hyped movie online ends up alienating multicultural audiences and falling flat.